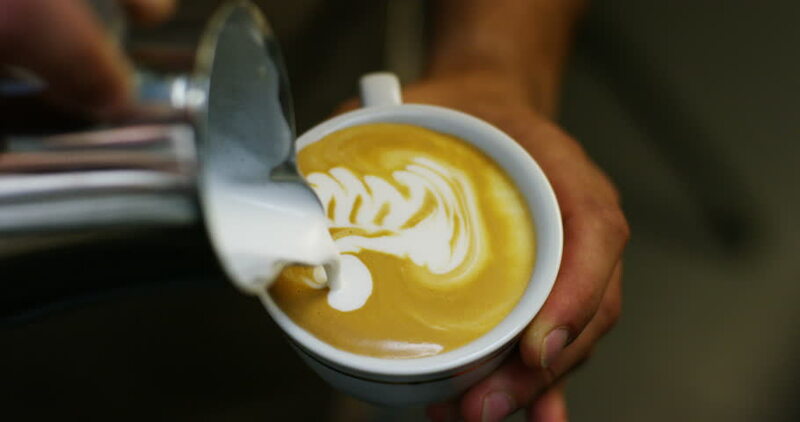 a bartender makes an artistic composition with fresh milk to make a cappuccino Italian quality, using Italian espresso. passion for work, breakfast and love for coffee and art. 4k00:08Close up barista hand making art coffee in coffee bar.